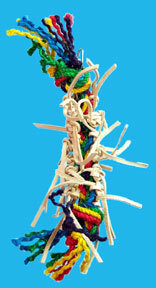 Your preening loving parrot will fall in love with this great toy made for leather crazy birds, in a bright colored sisal rope! Lots of vegetable tanned leather strips woven in with the sisal. Your parrot will go crazy over this leather toy. 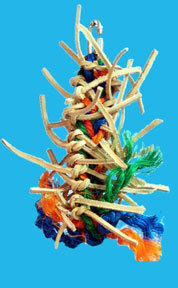 This toy is excellent for parrots that are FEATHER PICKERS, and with FIVE sizes/lengths, no BIRDIE is left out! 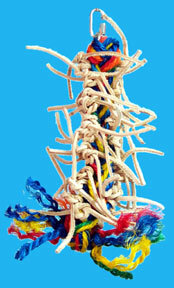 check the toy daily for frayed edges and keep it (and your parrot's nails) well trimmed.